March « 2018 « Blog Marcos L. Mucheroni Philosophy, Noosphere and Ciberculture. The true crisis of contemporary society lies in the idea that it is possible to abolish pain, the contradictory and even death, so it abolished not only the idea of ​​a One God, but any possibility of a cosmogony that gives vent to the life- death-eternity. It is the most correct, in my view, since all this search for perfection, immunities, excess of moralism (it is different from the moral that is a true asceticism), make the man fall into a void meaningless, they want to blame the artifacts themselves who build by their unhappiness, a simple analysis is enough and we see that it is another insanity: things are what we humans lend to it, therefore the ball of time returns to the man and to the Being. Two agnostic friends pointed out to me that I believe there is a supernatural world beyond the natural, and that by becoming bread and wine Jesus explains to us what human artifacts are, at least these, well these two friends pointed to the cross and said: meaningless. What is meaningful is to ignore tragedy, the man before death, “who with life deceives” said Goethe, well: what the pain, thousands of alternative medicines have managed to extinguish the pain, someone has managed to rise again from the dead? the answers are obvious. But it is not evident, a God-man who was Jesus, before death and the cross cried out, “My God, my God, why did you forsake me?” It is even more paradoxical to think that he was God, life since he had always called God the Father. Perhaps he could even call this crisis of Abandoned Jesus, a society that wants to go forward, but lives returning to the past, to the point that he wants to revive The Wealth of Nations. To ignore the tragedy in the Greek sense, even Nietzsche complained about it, is to ignore his departure. Every crisis occurs having a deep bond of the relationship of man with nature and in function of this change, social relations between men change. Already the crisis, in the current limit, + and inability of perception of what in nature differs from it, ecological, transgenic and bioengineering problems. Man being a piece of nature, and in return, nature produces hominization, Teilhard Chardin stated that man is the complexification of nature, Edgar Morin (2005) states that man guides and follows nature. The historical question leads us to reflect on the kind of relationship we establish with nature, including our own nature, what we are as the substance of the universe, and the Eucharistic enigma: because God became substance: bread and wine, on this date Christian who recalls this last and greatest miracle of Jesus. We can see in this physical reality (the substance) the landscape must be understood as physical reality extended as social construction? The logical answer is yes. But in a constant world of transformation, of social mores, artifacts, and indeterminate places, the landscape between nature and society has evolved; it is already both nature-object and subject-nature, does this dichotomy evolve? 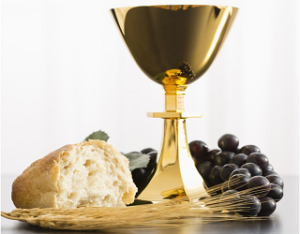 Perhaps we are more ready to understand the miracle of transubstantiation, God has become artifacts of man, two universal artifacts: bread-food and wine-drink. The young people were also emphatic in saying that adults failed, gave young people and children a safer and more just world, the pope in a provocative speech, also said in Rome: “Make a noise,” and quoted Jesus Christ’s answer to the Pharisees of yesterday and forever: “If they are silent, they will cry out the stones. 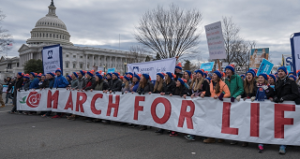 March for Lives shows worldwide worldwide: Ireland, Scotland and many other countries, the wave promises to invade the entire planet until the use of all weapons is limited. In the 1960s it was a strong confrontation with the United States government because of its escalating armaments in the East, now promises to be a worldwide fight against gunfire, strong winds blowing. My still short Portuguese experience has already brought a new reflection, a great city may be a village where there is some anonymity only because of a Western individualism, and there are already global villages, as McLuhan wanted, with global citizens. The experience of a distance education group in Porto de Mós reflects this a bit, I thought to find students scattered with distant glances, as is almost always common in São Paulo, but I found students engaged, critical and concerned about their own formation, we had to close because the building was closing, and we who had left Lisbon needed to catch the bus, we almost lost. Curious also because Portugal has genuine villages, it is not the small towns like Porto de Mós, but even villages, where people live from small farms (many wineries here), around a closer common life, but their young people accept peacefully and they call themselves one of the students of Porto de Mós: “I am from the village”. The reflection goes then to what the big cities have lost, if I had to summarize I would say in a word reminiscent of Edgar Morin: “conviviality”, but I think there is something deeper: the lack of dreams, the excessive labeling, the mistaken preoccupation with the media (they help the villages to be global), more especially a lack of “lived life”. 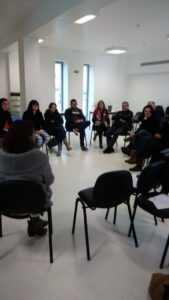 The fact that it is in Portugal, especially in Lisbon, a life of bars and cafes where “conviviality” is realized and a village life where the life of the world is integrated by the modern means of communication, realizes a new phase of sociability where human values ​​can actually be lived, more than the “relational” theorists who do not “coexist” think. It is still possible to dream, fall in love, respect values ​​of ethics and solidarity, but mainly to live them, which is essential. Solidarity leaders around the world are arrested or can be arrested at any time, if some coincidence exists with the history of some country is not mere chance, but I see that Portugal has achieved something new that is a President of Center-Right and a government that is a union of the lefts. 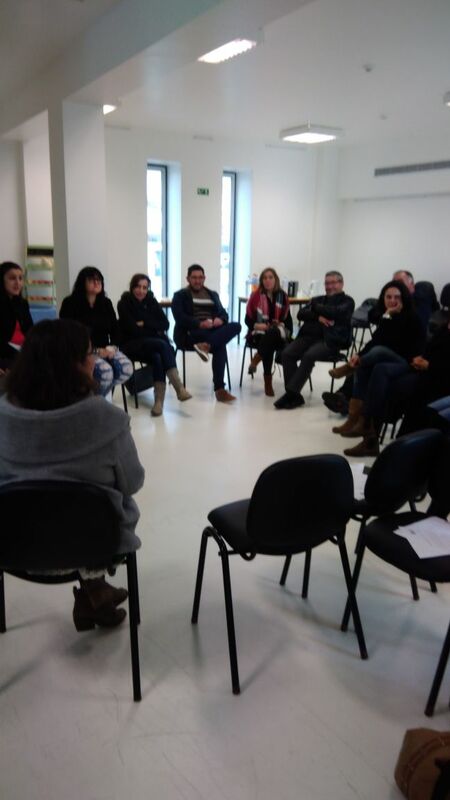 Talking with the new friends here in Lisbon, I first discover a soul of poets still alive, a people who still dream and who have a serious concern with Brazil. Would we have some point of dialogue in Brazil, finding it will be difficult, but not impossible, it takes men capable of it and with the moral to it. We are heading for the holy week when the martyrdom of a God is remembered, but is it enough to learn some lesson, at least believe in this lesson? “Eloi, Eloi, lamá sabactâni? 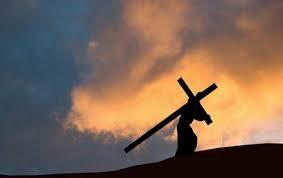 What does it mean: My God, My God, why have you forsaken me?” (Mark 15:34). 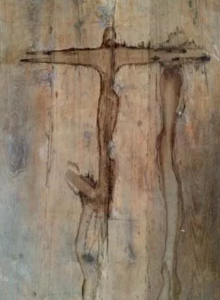 The image above was found on a table in an ancien thins shop. 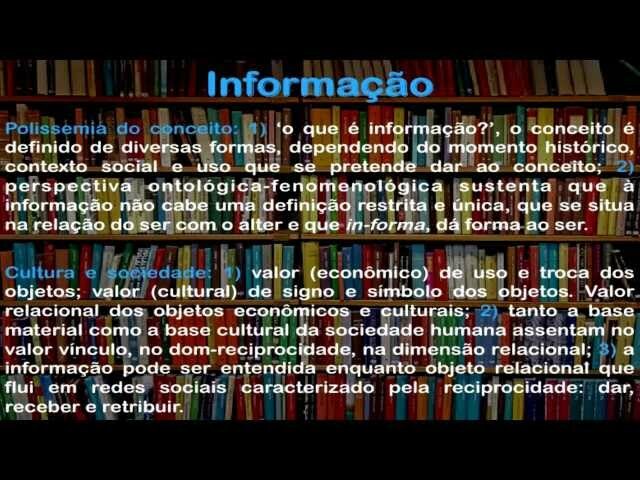 Vilém Flusser was a Czech, brazilian citizen naturalized, died in 1991, who worked for about 20 years as professor of philosophy, journalist, lecturer and writer in Brazil and then back in his country of birth to the Czech Republic. His books are being republished in Brazil, including all his writings, and I began rereading The Coded World – for a philosophy of Design. 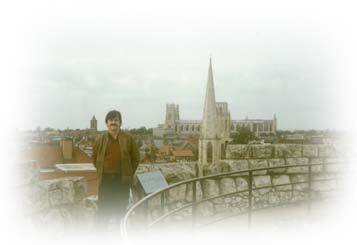 His work goes beyond the influences he received from Roland Barthes, Marshall McLuhan, because his philosophy is itself with elements of phenomenology and existentialism. The importance of the “concept of virtuality is perhaps the best and most elegant proof of how well Flusser was right.” (Ibid. ), And can no longer escape this question, use in various forms of information, communication and the arts requires opening of this “black box”, the name of an essay published in the year 1985. 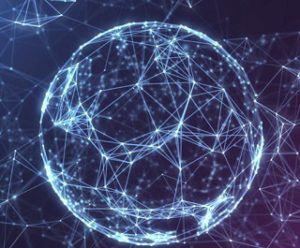 Aspects of virtuality and a codified world are uniquely developed by the author and contribute to a more serene debate on new media. FLUSSER, V. (2013) Shape of Things: A philosophy of Design, Reaktion Books, 2013. (pages and year em Brazilian edition). In its fourth decade of democracy, Portugal has one of the most popular governments Marcelo Rebelo de Souza, a professor of law at the University of Lisbon, a great communicator who was popular for his political comments on the television channel TVI, where he was an audience leader. Rebelo had in the election of 2015 52% of the votes winning in all 18 continental districts and in the two regions of autonomous administration. Although a conservative leader of the Social Democratic Party (PSD), he is from a more left wing of his party, being concerned about the almost a third of the poor population, a disaster in a European country. It is important to note that in Portugal, voting is not compulsory and almost 10 million voters voted only 4.7 million voters, or almost half. 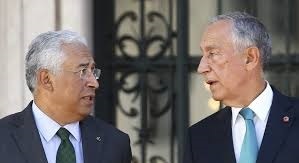 The current political regime in Portugal is known as a semipresidentialist democratic republic with four sovereign organs: the president of the republic, the assembly of the republic, the government and the courts. As the center-right government did not have a majority to form the government, a large leftist bloc was formed and took over the government, called by the Portuguese “gerigonça”, little by little appear optimistic results. The defense of public health, with the hiring of more 1,100 doctors, 170 laboratory technicians and 1,900 nurses; the growth of 6.9% in Education spending, with the addition of more than 3,000 teachers to the public schools network; the reduction of unemployment to 9% against 12.7% in 2015. The recipe for Brazil will not be the same, there difficult to negotiate, here it would be unthinkable a center-left president with a leftist government (here a public policy). We should study more Portugal because of its influence on Brazilian culture, but we know the facts that influenced Brazil: its dependence on England, the search for “a way for the Indies”, although the story may be quite different and our dependence / independence of Portugal made by D. Pedro I. The little that I know, Portugal was marked by the presence of the Romans for over 600 years finally by the Moors for about 800 years, a history shared with Spain over these more than a thousand years. Portugal was recognized as an independent kingdom in 1143 by King Afonso I and with the help of the Christian military and the Treaty of Zamora was made, between D. Afonso VII of León and Castile (then Spain) and D. Afonso Henriques who was a cousin of Alfonso VII of Leon and Castile, on the map of 1150 was still smaller than today (photo). 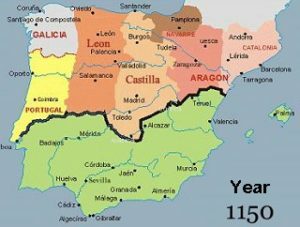 The stabilization of the borders in 1297 made Portugal the European country with the oldest frontiers, it also formed in the following years the first global empire of history, with possessions in Africa, South America, Asia and Oceania. A crisis of succession in 1580 resulted in an Iberian Union with Spain due mainly to the Dutch offensive (including in Brazil), a period in which the kingdom lost much of its status and wealth, only to be independent in 1640 with the dynasty of Bragança , very well known to Brazilians, but it was the period when it lost its largest colony, Brazil. In 1926 Portugal had a coup d’etat beginning a dictatorship, from 1961 began a series of colonial wars that ended military government in 1974 (revolution of the carnations), when was military government established the Salazar period, in 1975 all possessions in Africa became independent. The constitution and 1976 defined Portugal as a semi-presidential republic, and in 1986 began the modernization and insertion of the country in the European space with the insertion in the European Economic Community (CEE). 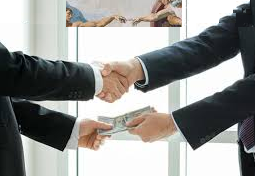 The recent history of Portugal, its serious crisis and the alliance that governs today, we already spoke in another “geringonça” post we will see later. This is a hidden relation in many texts of contemporary thought, we now turn to the history of this Being-in-the-world (we already use another translation as pre-sence), or we delve into the “hidden” side of Being. Some readings by Paul Ricoeur are important to clarify this question, for example reading Time and Narrative, we find the passage: however, it recognizes an anthropological dimension of the ontological-existential categories of Being and Time. According to him, Heidegger’s analysis must “have a certain consistency in the plan of a philosophical anthropology to exercise the ontological opening function that is assigned to it.” (Ricoeur, 1994, p.97). But his work is not displaced or forgotten by the anthropological dimension, this consistency is constructed as Ricoeur explains, by his existential analytic “it is before all psychology, anthropology and, above all, biology.” (Heidegger 1995, 81). But it is not an opening of an a priori to the idealistic mode, it is not a simple “aprioristic construction” (Heidegger, 1995, p.87), that is to say, detached from any “empiria” or practical aspect, that the unrelated their objectivity. Thus, with a correct method, all scientific research and ontological research may even converge, the latter always tending towards a greater “purification” and transparency of what was discovered ontologically, doing what Husserl called “returning the thing itself” is to abandon speculation and enter into the aspect of the relationship with knowledge, which is to give the world intelligible character. 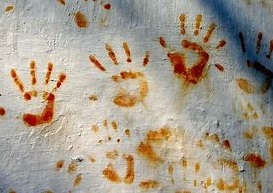 Research that follows a “fixation of the sectors of objects,” and does so only from the original opening to the beings’ way of being by which the sensory experience of the world is responsible, but no responsible research will fail to present questions that are “subjective “Of the empirical data, hence inseparable from them. If scientific inquiry approaches a particular region of entities, it enters a region beyond the horizon of the original experience: the horizon of the fundamental relation of the entity investigated and the world questioned of its relation. In the anthropological plane this is essential, to collect data of a culture, without penetrating the “being” of it is to make an objective abstraction, to ignore subjective aspects of it.